Graeme McDowell and Paul Dunne were among the best of the Irish on day one of the Irish Open at Portstewart, carding five under par rounds after an exciting day of golf. Joining them on five under, three shots off American Daniel Im and Frenchman Benjamin Hebert, is Dubliner Gavin Moynihan, with the 22-year-old also carding a 67. Portush native McDowell was pleased with his start but said: "There's a ton of work still to be done. I'd really love to compete this week-end." Padraig Harrington and Shane Lowry both got home in 68 on a morning when light winds and dry conditions left the golf course ripe for plunder. Unfortunately, Rory McIlroy - who won last year's event at the K Club, came home with a frustrating round of 72, which leaves him eight shots off the lead heading into round two. 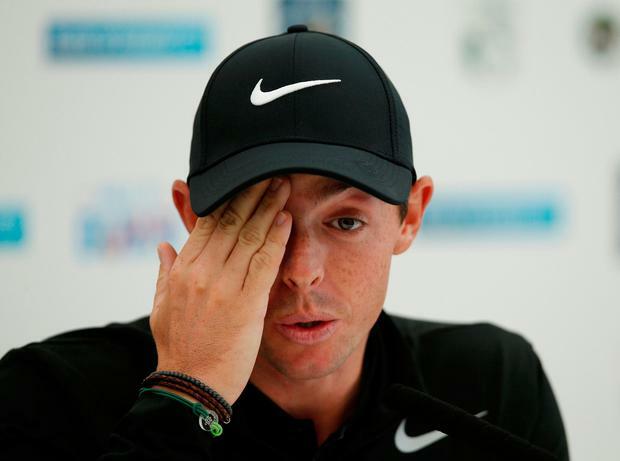 "I'm pretty frustrated,"McIlroy told RTE. "The course was out there to shoot a really low score. "When you're playing with Jon Rahm and Hideki and they're shooting seven under and five under, it felt like I was going backwards just shooting level par. "It was one of those days. I felt like I hit it pretty well, I just couldn't get anything going, no momentum. "Hopefully I can get out there tomorrow morning and make some birdies and climb the leaderboard."